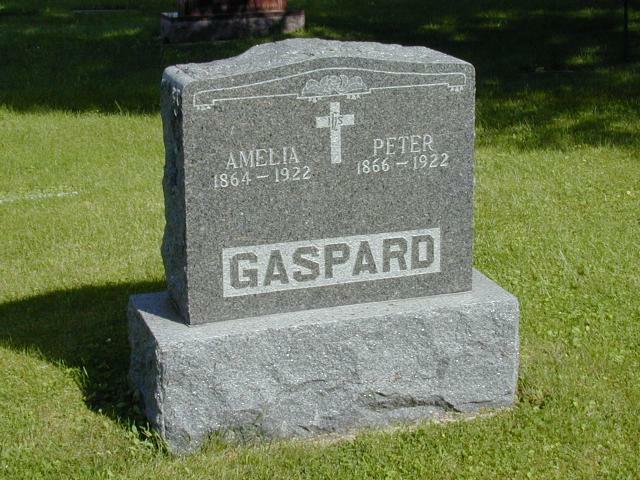 Died: 8 Aug 1896, Wadena, Minn.
Born: 8 Apr 1864, Stearns County, Minn.
Peter Gaspard   \    | Beatrice               b. 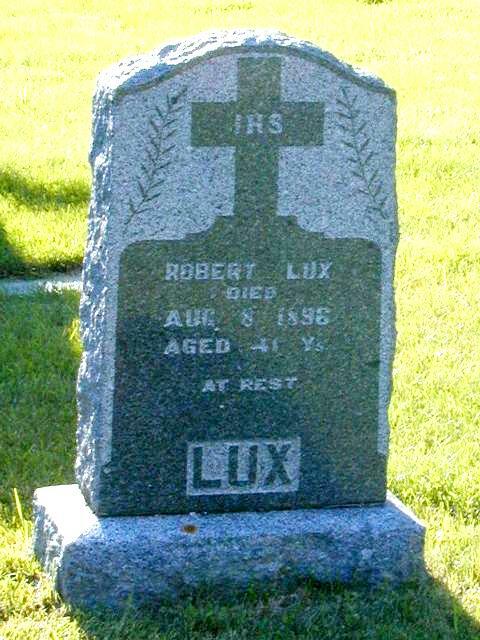 3 Jan 1909 / d.
(provided by Rick and Holly Johnson) Very little is known about Robert Lux beyond the obituaries published in the Wadena newspapers in August, 1896. 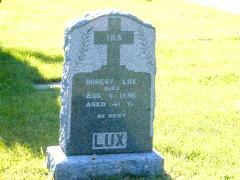 He is buried in the Calvary Catholic Cemetery in Wadena, Minnesota. Federal Census records from the 1800s (1857, 1870 and 1880) indicate that he was born in Ohio, and that he lived in the Jordan, Minnesota, area while growing up. The family record from the Church of St. John the Baptist in Jordan says he was born in Cleveland on 6 May 1854. He is also listed as a witness to the marriage of his sister Anna to Nicholas Knapp in April of 1876. Robert married Amelia Borgmann of Sauk Centre, Minnesota, on Janaury 27, 1885. They had three children, all boys: Ferdinand (Fred T.), Alex and Everett. From the information in the obituaries, we know that the family lived for a time in Staples, Minnesota, but moved to Wadena shortly before Robert's death. In September of 1907, Amelia married Peter Gaspard of Sauk Centre, Minnesota. They had two children: Beatrice and Melvin. 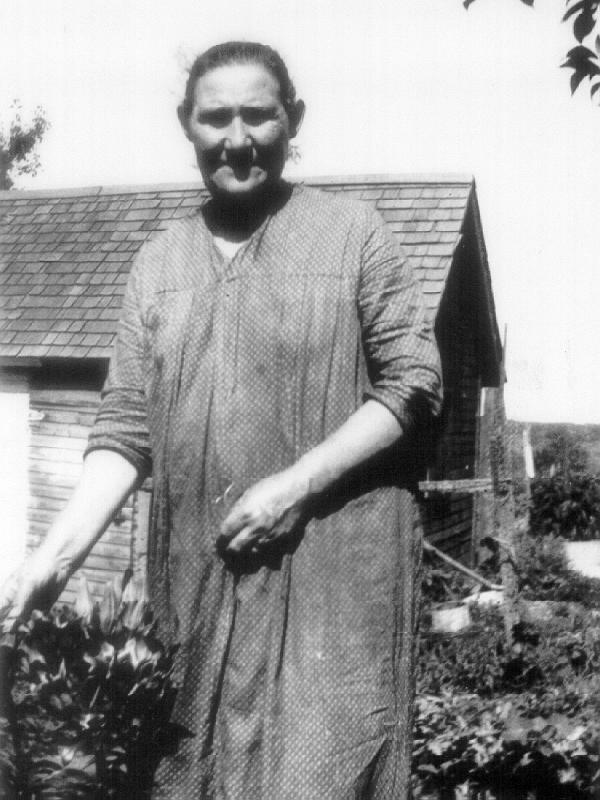 Beatrice married John (Jack) Richardson and they lived in St. Cloud. Melvin lived in Long Prairie, Minnesota, but is buried alongside his parents.